A little more than a month after his show Grandfathered got axed by Fox, John Stamos is returning, like a foolish protagonist in a bad slasher movie, to the network’s still-bloody arms. Variety is reporting that the Full House star has signed on for the hospital-set second season of Scream Queens, where he’ll join a returning cast of characters from the show’s first outing. Stamos will play Dr. Brock Holt, a ”brilliant, but secretive, head surgeon” who we’re still not entirely sure isn’t a Childrens Hospital character who somehow wandered onto the wrong set. 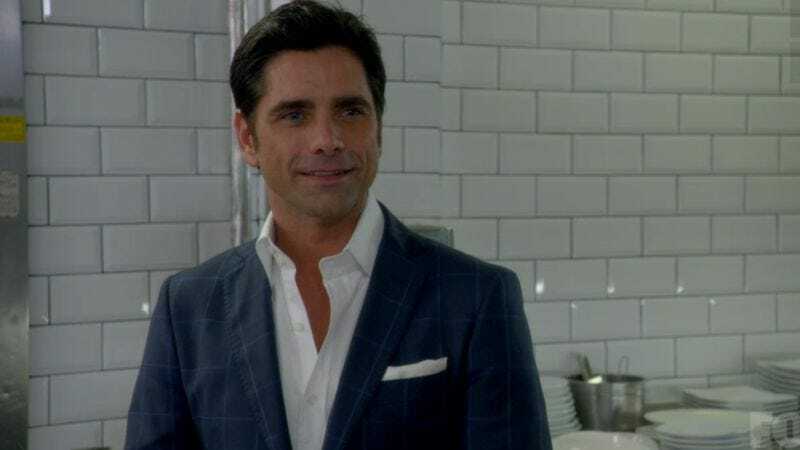 Stamos joins a cast that includes Jamie Lee Curtis, Abigail Breslin, Niecy Nash, and a healthy serving of lowered expectations, after the Ryan Murphy and Brad Falchuk-led show’s disappointing first season wrapped up earlier this year.